Buying a home? It is probably the most expensive purchase you will ever make. This is no time to shop for a cheap inspection. The cost of a home inspection is very small relative to the value of the home being inspected. The additional cost of hiring an InterNACHI-certified inspector is almost insignificant by comparison. You have recently been crunching the numbers — negotiating offers, adding up closing costs, shopping for mortgages — and trying to get the best deals. Don’t stop now. Don’t let your real estate agent, a “patty-cake” inspector, or anyone else talk you into skimping on the home inspection. 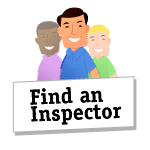 InterNACHI-certified inspectors perform the best inspections by far. InterNACHI-certified inspectors earn their fees many times over. As the most qualified inspectors, they do more, they deserve more, and — yes — they generally charge a little more. Do yourself a favor and pay a little more for the quality inspection you deserve.